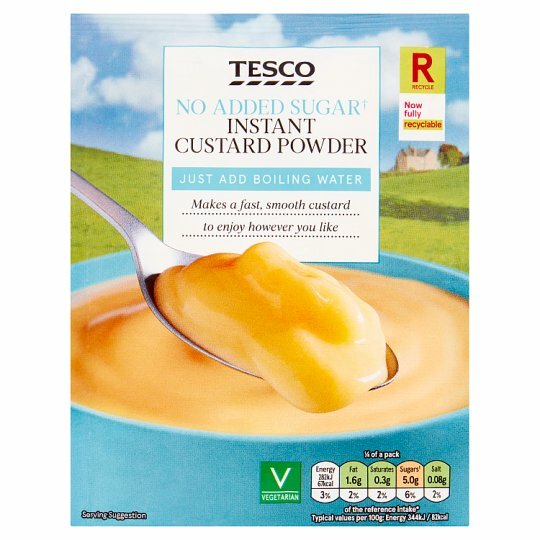 No added sugar instant custard powder with sweetener. 1. Empty contents of sachet into a measuring jug.2. Make up to 425ml (3/4 pint) with boiling water.3. Whisk thoroughly with a fork until smooth and creamy.4. Thickness can be varied by using more or less water.5. Serve.